JAMIX has been Making Kitchens Work for already 30 years and for the last couple of years the focus has been on the US market. Recently JAMIX has been exhibiting at foodservice and hospitality trade shows in New York, Boston and Chicago. In addition, JAMIX attended the 2017 Global Access program where the UCLA MBA students performed an extensive market research and action plan for JAMIX concerning the US market. It has been great to find out that JAMIX KITCHEN MANAGEMENT software, that has been developed with 30 years of experience, stands out with its versatility and up-to-date features even in the very competitive US market. JAMIX has been doing co-operation with food professionals since its beginning. Now there’s a new Team USA member from the cutting edge of the restaurant business, with long experience and knowledge of the foodservice industry. 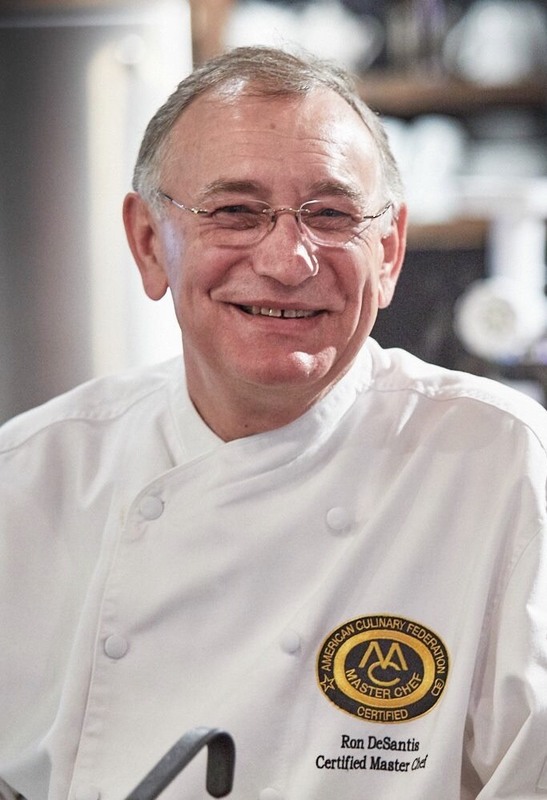 We are delighted to welcome Ron DeSantis, holding the Certified Master Chef title which is granted to only a limited group of exceptionally skilled chefs. This Master Chef title is not something you get from a TV show, but the highest and most demanding exam of the American Culinary Federation (ACF). Growing up in his family’s local grocery store surrounded by old-world Italian ingredients Ron unwittingly began his food immersion. After cooking in the US Marines Ron’s culinary career shifted into high gear when he graduated from the world’s premier culinary college, The Culinary Institute of America. Ron spent 5 years living and cooking in northern Bavaria, Germany. His time in Germany allowed him to explore Europe and experience many foods and cuisines. Ron returned to the US and landed a position teaching at his alma mater. His 25 year career at the CIA included, in addition to teaching, versatile projects within development, planning, design and consulting. Notable career climaxed in the lead of the CIA Consulting group with successful projects with companies such as Coca-Cola and McDonald’s. In his next career launch Ron joined Yale Hospitality which is a multifaceted organization consisting of Yale Dining which feeds the undergrad population, Yale Auxiliaries which consists of restaurants, cafes, and C-stores, and Yale Catering. As Director of Culinary Excellence, in addition to overseeing the production of over 14 000 meals each day, Ron provided leadership for all facets of culinary concept design, development of innovative menus and cuisine and training of the culinary team of more than 150 culinarians. As the first Certified Master Chef to enter college & university dining, Ron has changed the format for delivering students meals. His approach has been to think and act like a great independent restaurant in a multi-operational institutional environment. Ron has received numerous recognitions and rewards during his career. After a successful decade in Yale Hospitality Ron continues to share his versatile knowledge in his consulting business CulinaryNXT. One of the latest projects was creating a 52 ingredient gigantic sandwich for the Super Bowl – as this year it was the Super Bowl nr 52 in order. Watch Ron presenting the Super Bowl Sandwich on a short video. “JAMIX KITCHEN MANAGEMENT system will change how kitchens are managed.